Drummond North's Nina Dougall wants people to reconsider the way they celebrate with balloons to limit risks to livestock and other wildlife. 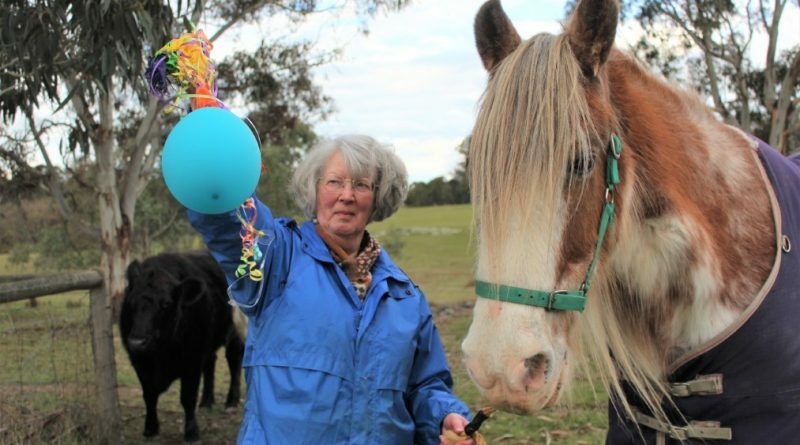 Balloons may be an international symbol for celebration but that is the last thing on the minds of livestock owners when the litter lands in grazing paddocks. Drummond North’s Nina Dougall is calling for more responsible use after having to wrestle to save cattle that chewed up balloon litter. She said she knew of others who had their animals die or euthanased because of the problem. “Without stopping to think that helium is a finite rare resource being wasted on something as trivial as a balloon, these balloons drift across the countryside creating death and permanent damage to domestic stock, native wildlife, fish and birds,” she said. Ms Dougall recently made the grim discovery of a kangaroo carcass that had rotted away to reveal it had ingested a balloon, which had become lodged in its stomach. 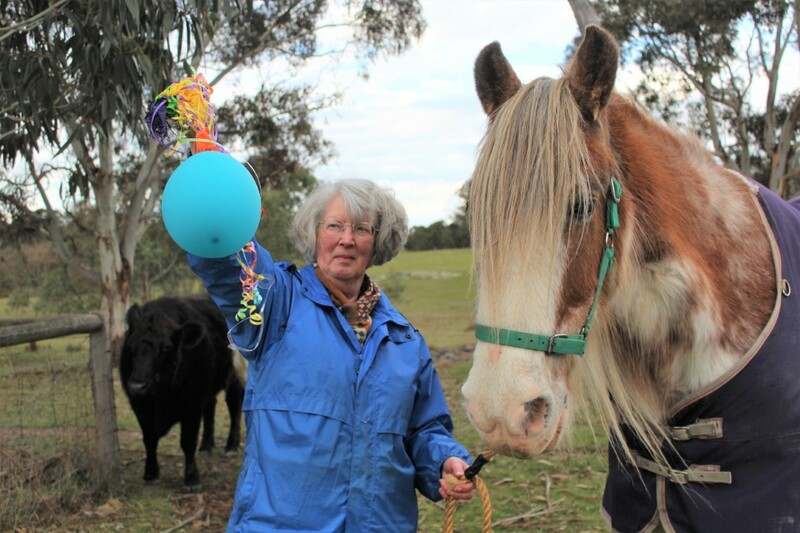 Woodend Veterinary Centre’s lead veterinarian Dr Jocelyn Hoogstraten said balloon litter could be attractive to some animals with its bright colour and shredded texture that might imitate organic food matter. “Balloons and balloon litter takes years to break down, the bright colours often attract animals and they often ingest it for this reason,” Dr Hoogstraten said. Ms Dougall said balloons had drifted to her property from events as far as Daylsford and Bendigo – as indicated by their branding or accompanying remains. She said the issue had existed for years yet it was so easy for people to reconsider the way they choose to celebrate events and use balloons; such as opting to inflate with air over helium to stop the drift and using sticks over strings. 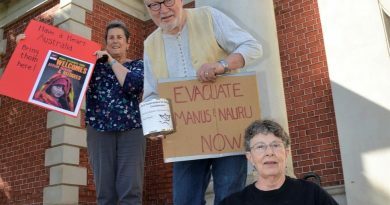 Items like balloons and straws top the list of goods to be eliminated from Macedon Ranges Shire Council events if its investigation into a single-use plastics ban becomes part of its environment strategy. Darebin and Port Phillip councils have banned balloons and Hume was recently petitioned to follow suit. Hepburn Shire has not yet adopted a policy on single-use plastics but is in the process of developing a draft policy which is a key action in its council plan. Use of plastics and balloons at independent events such as festivals, school celebrations, weddings, funerals and parties are typically left up to the individual. 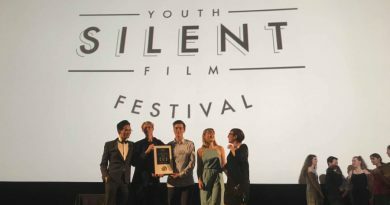 Young Woodend filmmakers Flynn Mazza and Kale McQuade can look forward to their film being featured at Hollywood Theatre in June 2019 after they won the regional final of the International Youth Silent Film Festival.